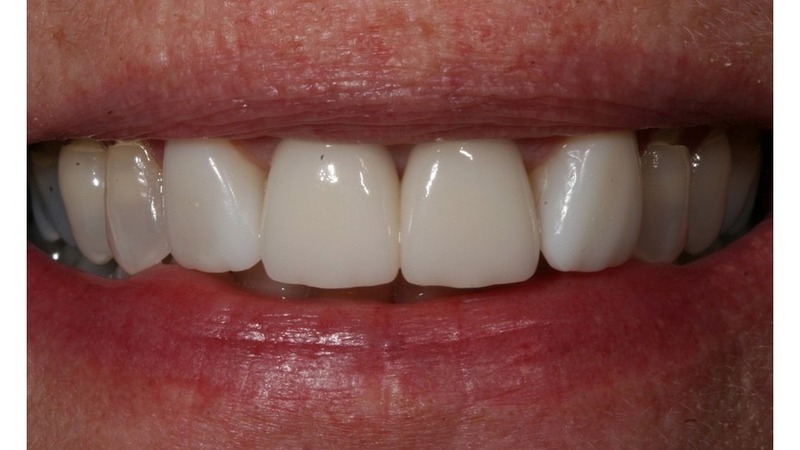 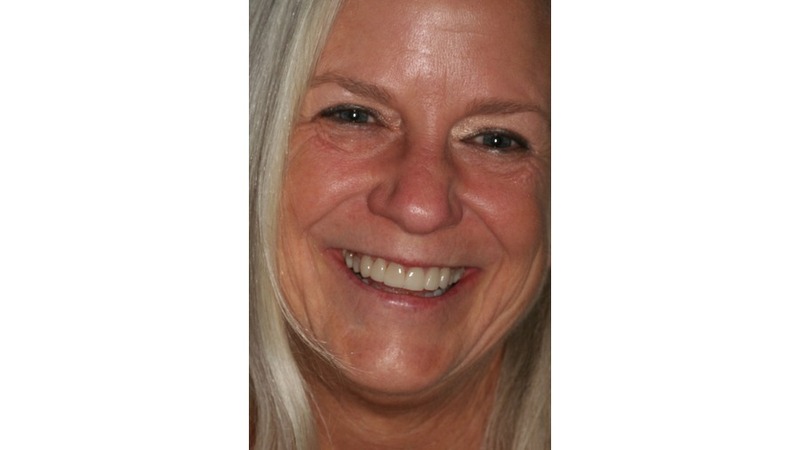 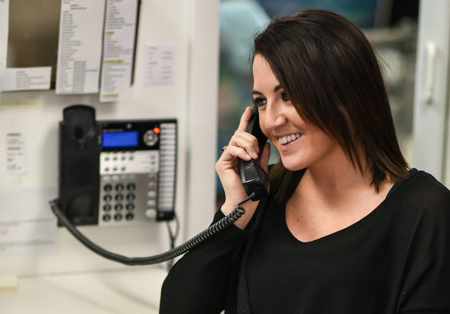 A Single front crown replaces old bonding and was integrated perfectly into the smile. 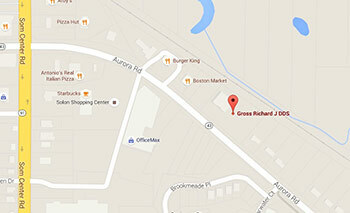 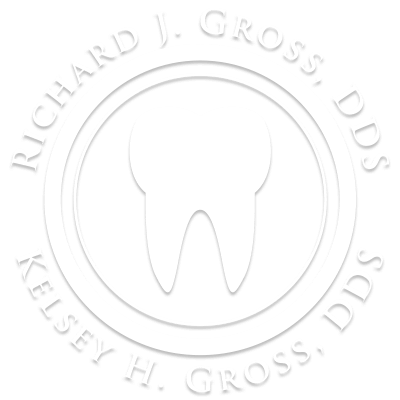 Patient fractured her two front teeth riding her bicycle. 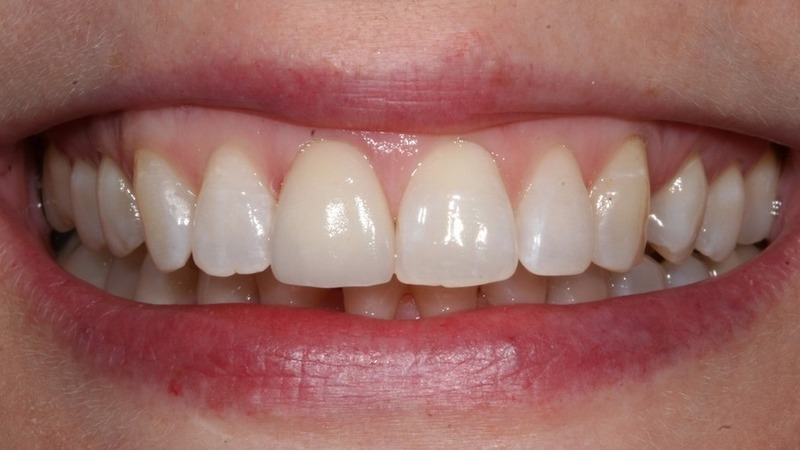 The restorations were completed with white composite bonding material all in one day! 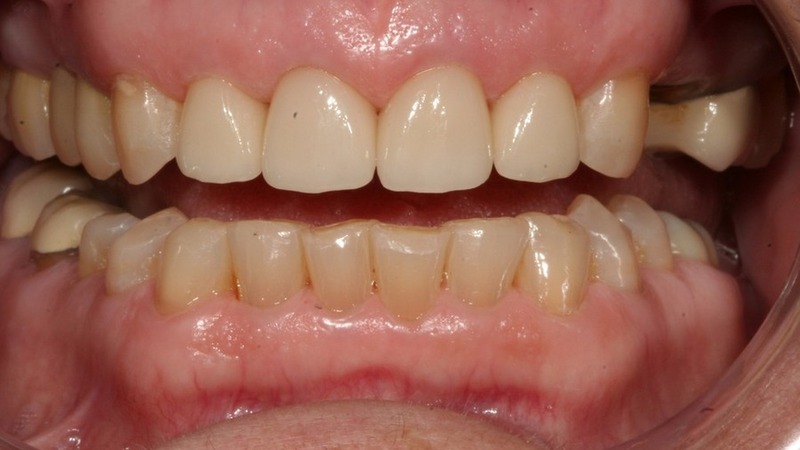 Old veneers are placed by new, more natural looking veneers! 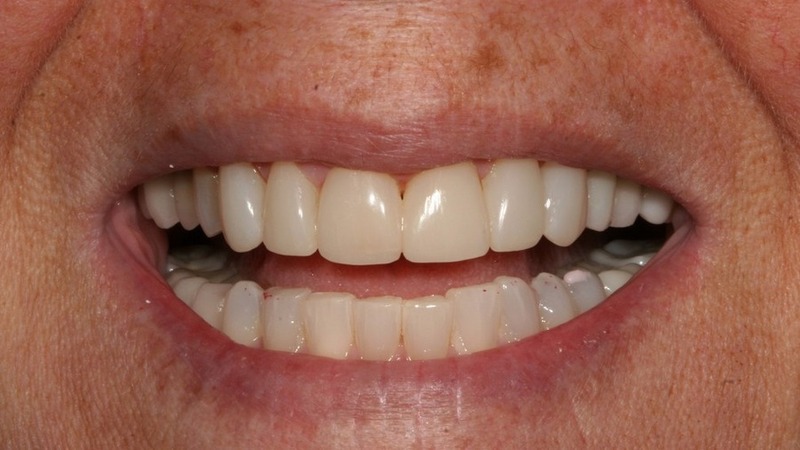 New Porcelain crowns transform a smile! 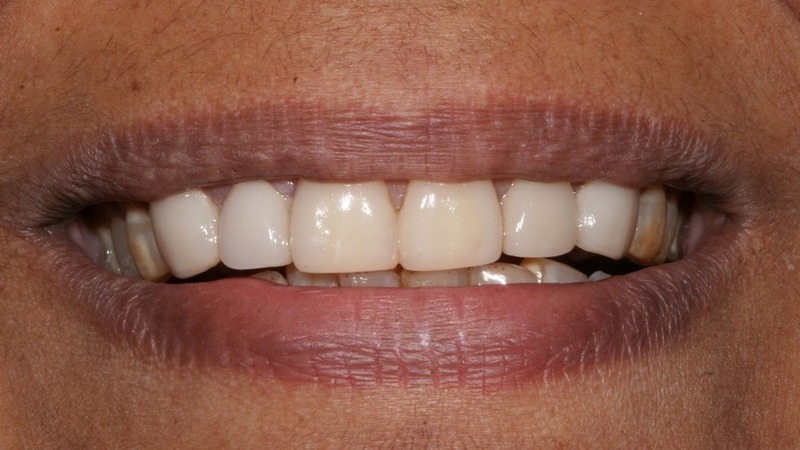 Front teeth that were previously stained, chipped, and worn were made new again with composite veneers. 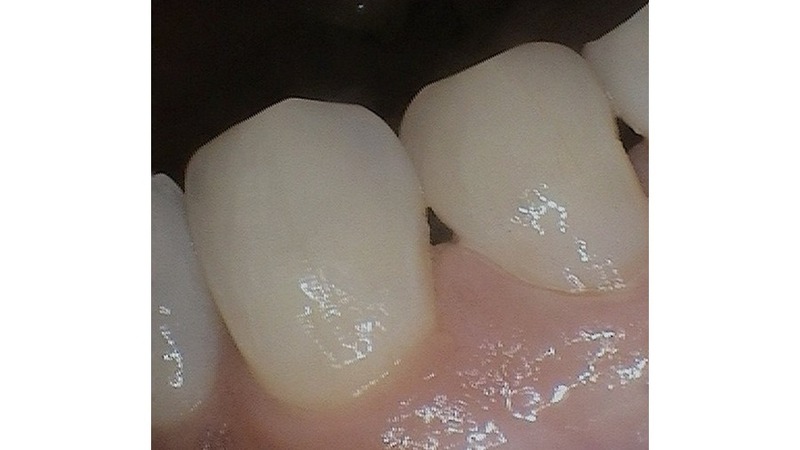 Old metal-lined crowns were replaced with all porcelain crowns and some bonding! 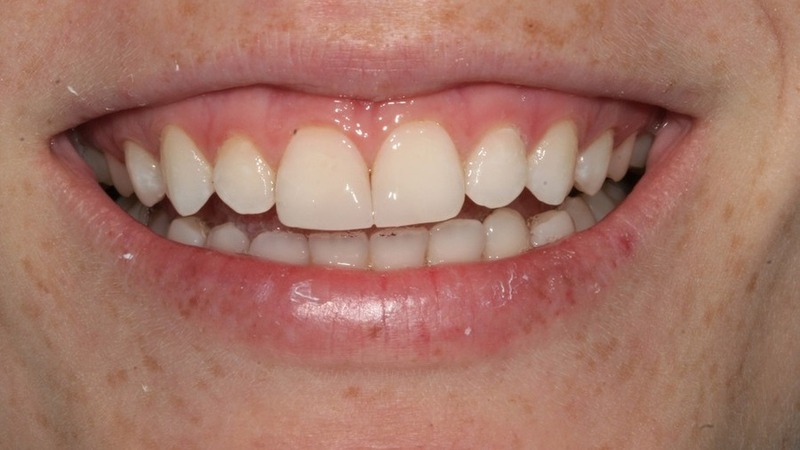 Before: Chipped and worn teeth After: Crowns and whitening transform the smile. 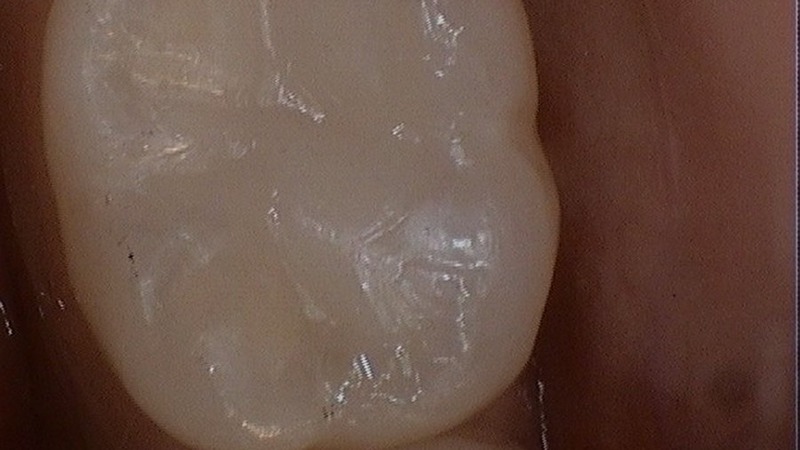 Before: Old composite bonding that is stained, chipped, and worn. 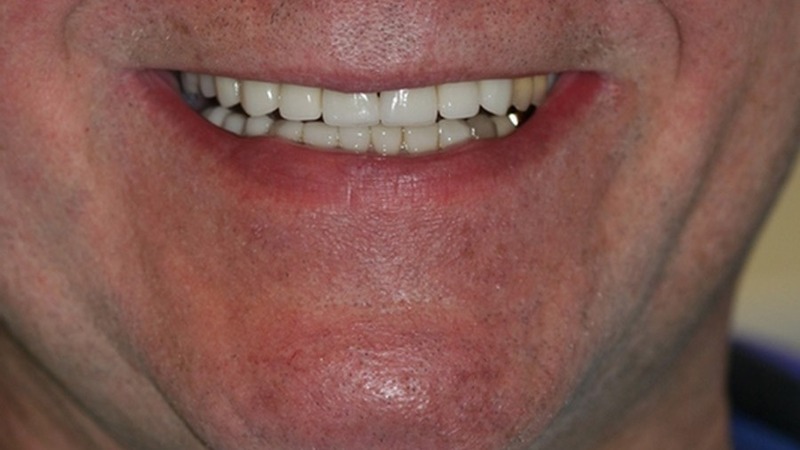 After: Beautiful new white crowns. 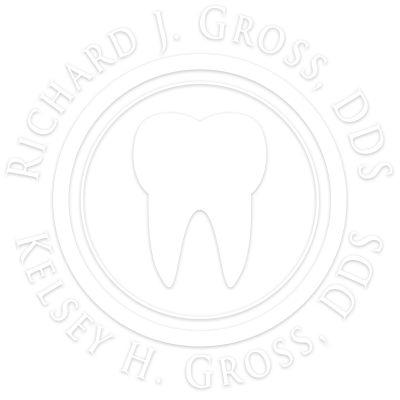 Before: A lower molar showing an old silver filling surrounded by tooth decay. 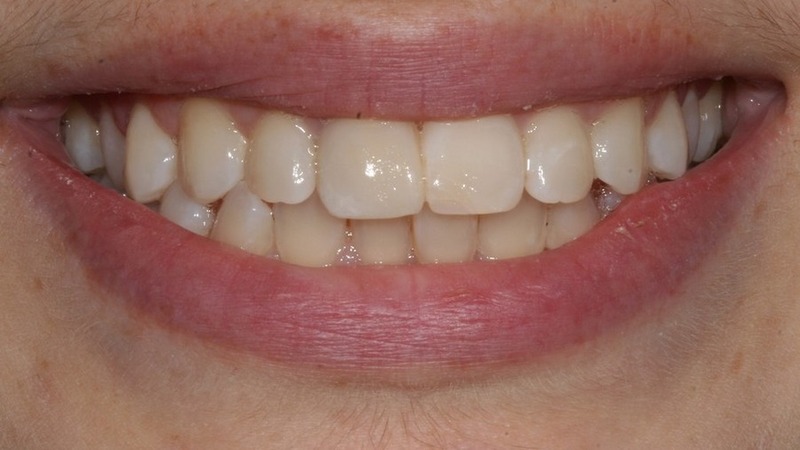 After: The a beautiful white filling on that same lower molar after only a 30 minute appointment! 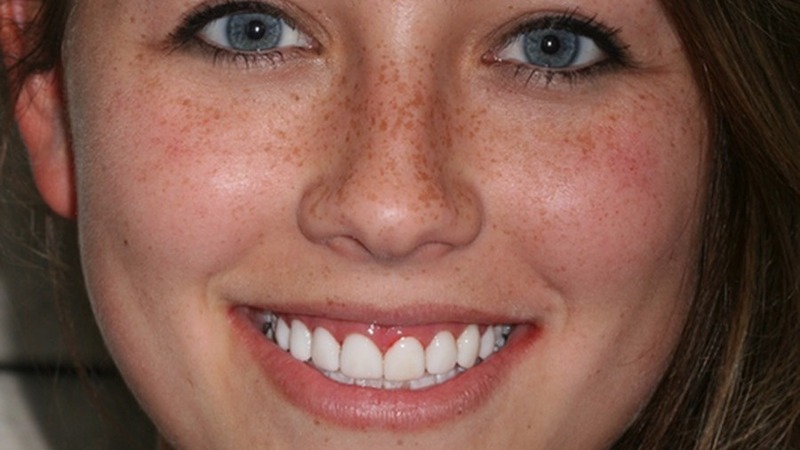 Before: This patient cracked her front tooth while she was on a run. 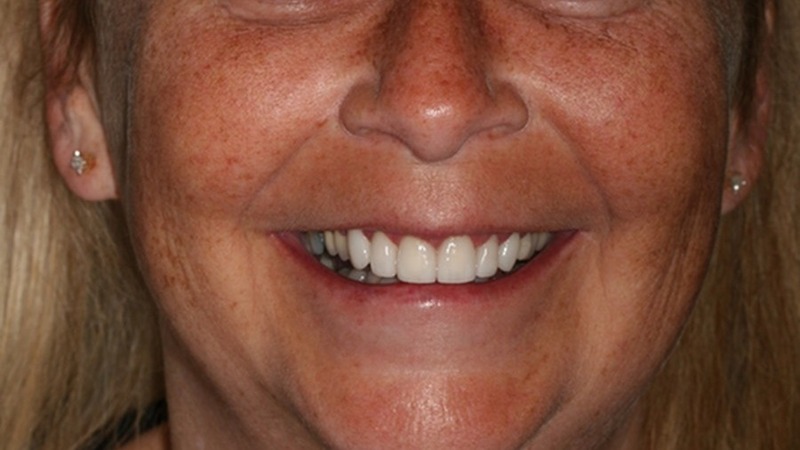 After: A new beautiful crown! 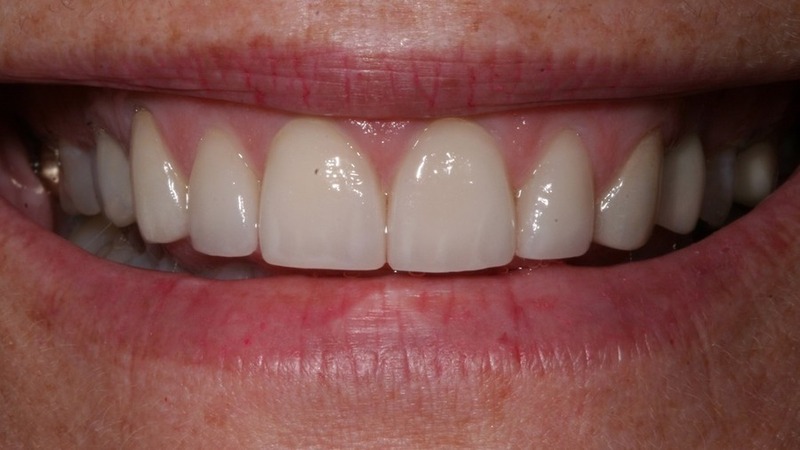 Before: Stained, Old bonding, Uneven tooth size After: Beautiful new crowns and whitening!